The Freedman Seating Test Lab is an A2LA Accredited Mechanical Testing Lab [ISO-17025 2005E – Mechanical Testing Certification 2324.01]. 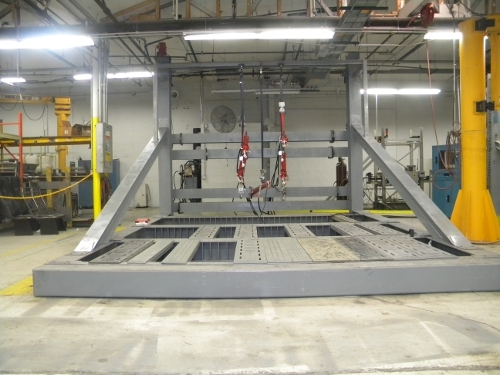 Our goal is to provide the highest quality standard of transportation seating testing and client service in a safe and professional laboratory atmosphere. We strive to produce accurate results, and to do whatever it takes, without compromising quality, to complete the job on time. We will treat all of our clients as we would like to be treated. Every FSTL employee is a client service representative. Real world-road correlation Vibration testing [S.D.O.F]. Life Cycle testing [using PLC, pneumatic cylinders, and magnetic sensors]. Special Tests Performed Per Client’s Specifications. Tests Performed In Vehicle or on our Testing Fixtures. Testing Fixtures Designed and Fabricated onsite. State-of-the-art Automated Testing Equipment and Data Acquisition System. Digital Video and Still Photography of Tests. Electronic [PDF] Secured Test Reports.